For the love of life: Class Announcement! Hello there, now that the flurry of my blogging is done for this week I am finally getting to post about my upcoming class this Saturday. I thought I would share on my blog as I am doing something different this time. I am also making my class available to those, who don't live near me and have no access to the store I am teaching at. So, first let me show you the classes. My first class is all about BIRTHDAY CARDS! Early January I had a realization that every time I am looking for a birthday card I just don't have one...LOL. Pretty sad for all the cards I make throughout the year. Somehow not too many are for birthdays, so I thought why not design a class around just BIRTHDAY CARDS! Hence the birth of these cards! 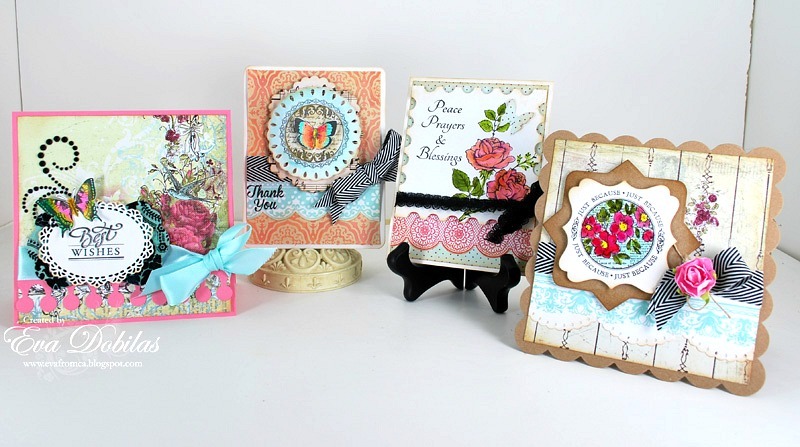 What you get to play in this class with is JustRite Stamps, My Favorite Things Die-namics, Spellbinders and one of the cards is created using a Lifestyle Crafts die. You will also get to create with Creative Imaginations gorgeous IOD paper line and of course Luminarte Twinkling H2O's! My second class is an ALL OCCASION CARDS class, and really it was born in the same line of thinking as my Birthday card class, as I just didn't have the every day sentiment cards readily, so I thought I wold just make it for my class. I bet a lot of you out there are in the same shoes! Here are the cards for this class, which uses the same products as the Birthday card class. So what do you think??? Do you like these cards? Would you like to make them?? If the answer is yes, here are the details of the class. You can't make it to the class, or you don't live around here? No problem! Here is what I came up with. If you love the cards and would like to get the kit, but you wish I could be there to teach you personally on how to make these cards, I came up with an idea and it is that I am filming how to create these cards, and if you sign up, here is what you get. - Kit shipped to you ready to paint and assemble, all stamped and die cut just for you! - Private access to my VIDEO CLASS teaching you, just as if you were there with me in class! - You get to watch the videos at your convenience anytime you want to! How is that sound????? Are you in for a unique way of learning how to make these pretty cards? If you are, please give Treasured Memories a call and tell them you want the VIDEO CLASS, that way you can do it at your home! Please email me at edobilas@gmail.com if you have any questions!